Just Listed :: Wonderful Townhome in Ashford Creek! Welcome home! 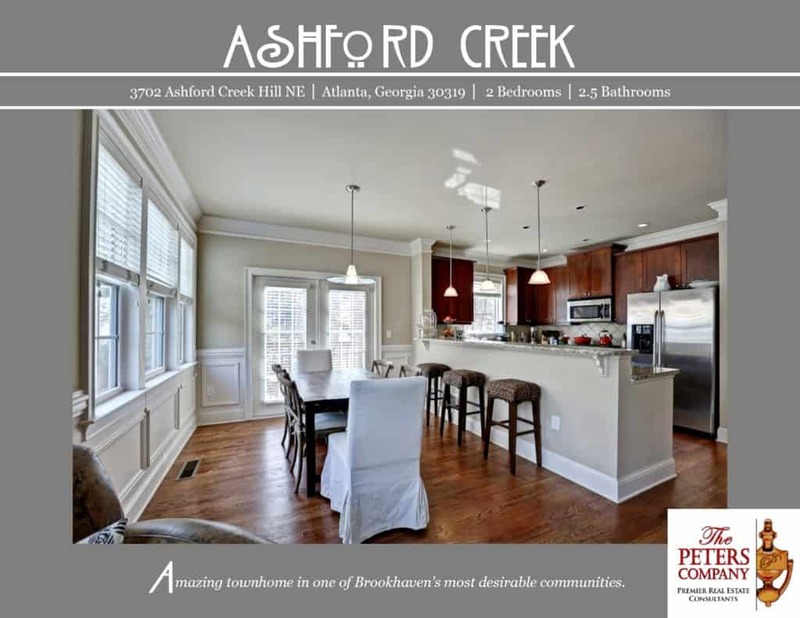 Nestled in the popular Ashford Creek townhome community, this end unit has it all. The open floor plan, custom features, and charming character of this home will never go out of style. The close proximity to Ashford Dunwoody Road Road, I-285, and GA400 makes this home convenient to and from any direction. Being in the booming city of Brookhaven means you can enjoy nearby hot spots like Town Brookhaven, Village Place Brookhaven, and the newly renovated YMCA! Outdoor enthusiasts will love being across the street from Blackburn Park and only minutes from Murphey Candler Park! Kitchen features granite counters, stainless steel appliances, pantry, and large breakfast bar. Living room has a gas fireplace, built-in shelving, and tons of natural light. Master suite is a true retreat including a trey ceiling and walk-in closet . Spa-like master bath has a double vanity, garden tub, and separate walk-in shower. Wonderful community amenities include pool, clubhouse, gym, and gated entrance. ← Just Listed :: Amazing Townhome in Dresden Creek!